So you have decided to become a Certified Radiology Administrator (CRA)? What a wonderful decision you have made! First, you must be sure that you are qualified to sit for the exam by researching the eligibility requirements on the CRA website. Second, you need the right material to study. The main thing you should center your focus on is the reference material, such as the AHRA Professional Development Textbooks, to help you pass the exam. These five books were my best friends when it came to studying to pass the CRA. 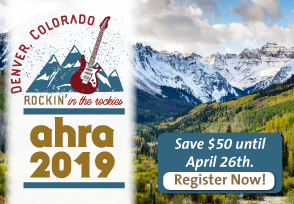 I highly recommend that you take AHRA’s CRA Exam Workshop, which is offered at the AHRA Spring Conference and Annual Meeting, and online. I encourage my staff members who are studying for the CRA to take this workshop first to determine and gauge if they are ready to take the test. The course reviews each domain, or subject area, covered in the exam — fiscal management, human resource management, operations management, asset management, and communication and information management. It focuses on areas to study and provides references and direction to other resources. What is great about this course is that it will help you to determine what your strengths and weaknesses are, so then you will know exactly where you need to focus when you’re studying. The Virtual CRA Exam Workshop allows you to reference the material any time you want to study. I found this to be extremely helpful because it was like attending the CRA workshop in person, except I could access the material whenever it was convenient for me. Next, join the AHRA’s CRA Community on Connect. This members-only discussion group is for all things CRA and is a great place to network and maybe even find a study partner if you haven’t already. I was lucky that my husband was taking the CRA test the same time as me, so I had a built in study partner! Whenever we would go on a long car ride one of us would bring a copy of the practice test and quiz each other. This made studying fun and was also a great way to use our time wisely – we all know that time is one thing we never have enough of. I’m just going to say that misery loves company, so if you can find someone going through the same journey as you are, it makes the experience a lot easier. This is not an easy test by any means, so having someone to talk over material and help with the pains of studying is great. Get organized! We are all so busy with our careers, our lives, our families, and social calendars, I find that being organized and planning are some of the most important keys to success in passing this test. Find a dedicated area to study that is comfortable and quiet. Try to limit interruptions when you’re studying so you can concentrate on the material. I also found that having everything in one location helped, so I was not searching the house for my Asset Management book when I needed it. Developing a good study plan is a huge part of successfully passing the CRA. I gave myself 6 months to prepare for the test, and I set up a calendar with recurring study time on it. Sunday morning between 6:00 AM and 8:00 AM was my normal dedicated CRA study time. This way I did not feel pressured to try to cram all the information and data in a short period of time. My plan included reading all the reference material twice and taking the practice test at least 2-3 times a week. I would also spend time referencing the workshop recordings as needed when I felt I was struggling with a certain subject. When you are studying, be sure to give yourself a break and also make sure you are not hungry so you can stay focused. There are 185 questions on the CRA exam, which is rather intense. Make sure you know what study habits work the best for you. The night before the exam, don’t try to cram a ton of information into your head and get overwhelmed. Take time to have all your required information for taking the test ready, be sure to get plenty of rest, be sure your belly is full, know how to get to your location, and allow yourself plenty of time to drive there – these tips will all help to eliminate added stress the day of! Most importantly, be sure to reward yourself for working so hard to take this test, and be proud because you have worked so hard to become a CRA!